Trapeze Artist (r) will clash with Redzel in an Everest preview in the Premiere Stakes at Randwick. Leading Everest contenders Redzel and Trapeze Artist are the early equal favourites for their clash in the Premiere Stakes at Randwick. Saturday’s Group Two 1200m-sprint is the final preparation for many of the runners in the $13 million Everest two weeks later. Trapeze Artist is the TAB’s $5 favourite for The Everest with last year’s inaugural winner Redzel at $6 with both at $3 for the Premiere. In Her Time, Invincible Star, Santa Ana Lane and Shoals are the other confirmed Everest runners entered for the Premiere with Music Magnate and Invincible Gem rounding out the eight nominations. There is one slot remaining with the group headed by Max Whitby and Neil Werrett taking a keen interest in Friday night’s Moir Stakes at Moonee Valley and a special barrier trial at that meeting designed to get Chautauqua reinstated to race. Trainer Gerald Ryan’s attention is on Trapeze Artist who will run in The Everest for Aquis Farm. The four-year-old ran third in the Theo Marks Stakes (1300m) on September 8 on a wet track which wasn’t to his liking and Ryan expects him to stand up on Saturday. “He will have a final gallop on Tuesday morning. We’ve had no dramas with him since his last start,” Ryan said. Redzel missed a scheduled start in The Shorts when he was found to have muscle soreness but has fully recovered. 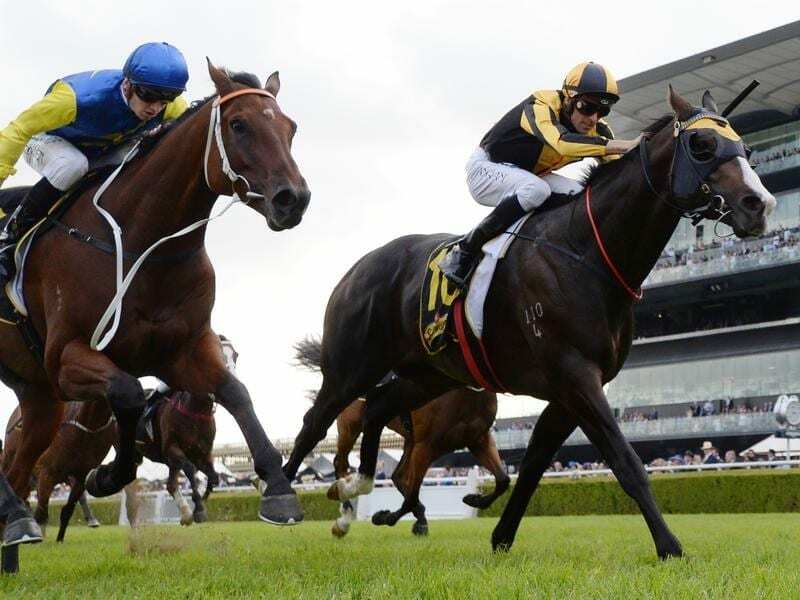 Ryan has entered Covert Ops and King’s Champ in the Breeders’ Plate, Sydney’s first two-year-old race for the season. Both were winners at the official trials a week ago and both are home-breds for Sun Stud. “They will both gallop in the morning and we’ll make a final decision then,” Ryan said. There were 16 entries taken on Monday for the Group Three Breeders’ Plate (1000m) and 19 for the fillies division, the Gimcrack Stakes.